Ms. Ashley Cox was born and raised in Chattanooga, TN where she attended many of the elementary and middle schools which are now a part of the Opportunity Zone Learning Community before attending and graduating from Hixson High School. 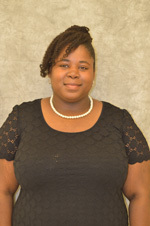 Ms. Cox graduated from Middle Tennessee State University in 2011 with a Bachelors of Science in Political Science and later attended the University of TN at Chattanooga where she received a Masters of Education in Secondary English. Currently, Ms. Cox is attending the University of TN at Chattanooga where she is pursuing an Educational Specialist degree in School = Leadership. This is Ms. Cox's eighth year at The Howard School, and she currently teaches AP Literature and Composition, Honors English 10, and English 10. Also, she is the English Department Head and the co-sponsor of Howard's Community-Wide Book Club, Nooga Chat. Want more information on Nooga Chat, follow us on twitter @NoogaChat. Looking for a way to support Ms. Cox and her students? Check out her classes' page on Donors Choose.